IT'S TIME TO UPGRADE YOUR LINEAR FIREPLACE. 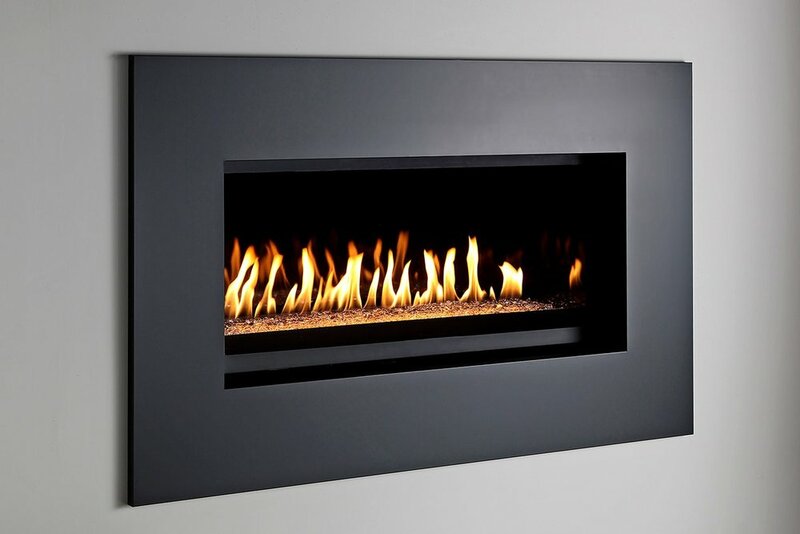 The P Series by Montigo is a single-sided direct-vent gas fireplace line with three size options. The P Series features a contemporary, rectangular fireplace shape with a clean face metal trim that surrounds the glass viewing area. Non-combustible finishing materials can be installed right to the edge of the metal trim, resulting in a versatile finished look that is easily-integrated into any space. The P Series uses buried linear burner technology which provides more control over the burn pattern (as the decorative media can be placed over top of the burn to variegate the flame), and flame height adjustment. Black reflective porcelain interior panels further enhance the flame, along with accent lighting that sits in the firebed. A variable speed fan is also included. You can choose from interior media options of ceramic driftwood logs, river rock and fireglass.